There is no shortage of dividend stock lists out there. But what sets a good dividend stock apart isn’t simply the dividend payment. If you are going to invest in a dividend stock it should be a worthy investing proposition, period. Dividend or no dividend. This means that the business is going on the right track, and the fundamentals are looking strong. Plus dividend stocks are perfect for the current bout of market volatility. “Dividends may help to mitigate portfolio losses when stock prices decline, and over long time horizons, stocks with a history of increasing their dividend each year have also produced higher returns with considerably less risk than non-dividend-paying stocks” says Bank of America. 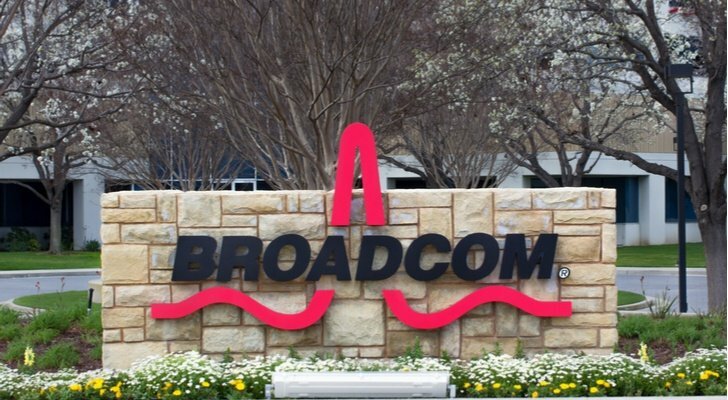 Semiconductor superstar Broadcom (NASDAQ:AVGO) certainly ticks all the boxes. On the dividend front, AVGO boasts a payout of $1.75 on the back of an impressive 2.7% dividend yield. Bear in mind that this is much higher than the average dividend stock yield of just 1.06%. So far, Broadcom has ramped up its dividend every single year for the last eight years. There are two other crucial factors to add to the bull story here. First, AVGO is aggressively buying back shares — with a stated $12 billion target. Plus Jefferies analyst Mark Lipacis believes that a further dividend increase is “likely.” A potential figure for the ramped-up dividend payout is $2.25. He has a $326 price target on AVGO stock (25.5% upside potential). “Looking forward, we model capex intensity of 2 percent and stable opex, which we expect will result in continued FCF [free cash flow] growth, and translate to higher quality of earnings and increased capital returns,” states Lipacis. Plus from the Street, AVGO has a killer Strong Buy rating. In the last three months, 24 analysts have published buy ratings on AVGO vs just one hold rating. These analysts have an average AVGO price target of $311.86, indicating a 20% spike from current levels. Our conclusion: this is a top stock to snap up right now. Next on the list is Occidental Petroleum (NYSE:OXY). This Texas-based oil and gas stock is a multinational affair. The company, which offers a compelling mix of growth and free cash flow, and it has operations across the U.S., Middle East and Latin America. OXY compliments this with midstream, marketing and chemical segments via its OxyChem subsidiary. To top it all off, OXY stock pays a dividend yield of 3.7% with a current quarterly payout of 77 cents. Add to that the fact that Occidental has recorded 15 years of dividend growth. In the last decade alone, not only has OXY not missed a dividend payout, it has also increased its dividend from $1.28 annual to the current annual payout of $3.08. At the same time, it is expected that OXY will begin repurchasing shares later this year. And, as global oil prices rise, OXY is there to reap the rewards. In fact, in the last couple of months, OXY has received four bullish rating upgrades. Piper Jaffray, Merrill Lynch, Citigroup and Jeffries have all shifted their ratings from Hold to Buy. These ratings also came with welcome price target boosts. 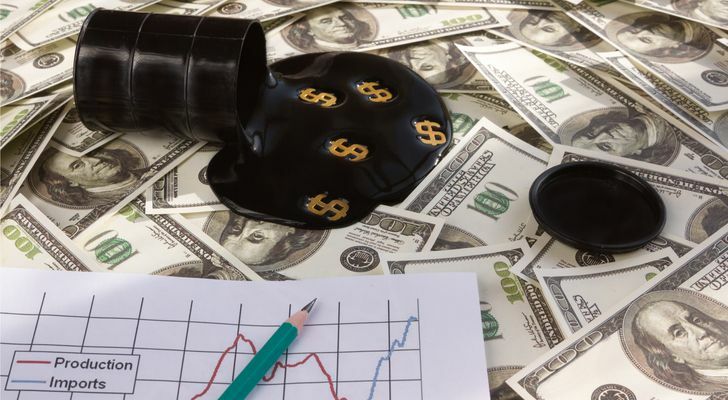 Analyst Doug Leggate, of Merrill Lynch, is now forecasting Brent oil to average $70/bbl, up from $60/bbl, through 2020. Right now, the price stands at $75/bbl. He adds that the stock has “extraordinary leverage” to the dislocation in Permian spreads. Overall, OXY scores a Strong Buy consensus rating with a $96 price target (15% upside potential). Chip equipment giant Lam Research (NASDAQ:LRCX) has just kicked its dividend into gear. Its latest quarterly payout of $1.1 represents a sizable increase from the previous payout of 50 cents. This is on the back of a 2.52% dividend yield and a new $2 billion share buyback plan. And while the dividend growth only goes back three years, the figures have multiplied extremely quickly. Indeed, consider this — just three years ago, LRCX only paid out $0.18, which is a sign of just how far things have come in a very short time. LRCX is also a Strong Buy stock with 14 recent buy ratings. This is vs one lone hold rating in the same period. And the average analyst price target of $267 indicates massive upside potential of over 50%. This is because LRCX systems play a critical role in enabling companies to make chips smaller, faster and more powerful. However, the stock has been weighed down by concerns of slowing demand. As a result, shares are now at “unusually attractive” levels according to top-rated Merrill Lynch analyst Vivek Arya. This bears out in his price target of $285, which suggests 63% upside potential. “With shares currently trading at trough multiples at 9-10x (typical at peak earnings) we see this as a particularly attractive buying opportunity with limited cyclical downside and potential upside as the valuation gap closes vs. its semi peers (40-50% discount today vs. 20-25% historically)”, explains Arya. He believes structural industry changes will ensure demand stays sustainable. Auto top-stock General Motors Company (NYSE:GM) isn’t holding back with its dividend payment. Right now, the company pays a lucrative 3.68% dividend yield. This translates into a quarterly payout of 38 cents. And after a long time in Tesla’s (NASDAQ:TSLA) shadow, GM is returning to the picture with a bang. The company recently announced a huge $2.25 billion from one of the world’s largest tech funds. 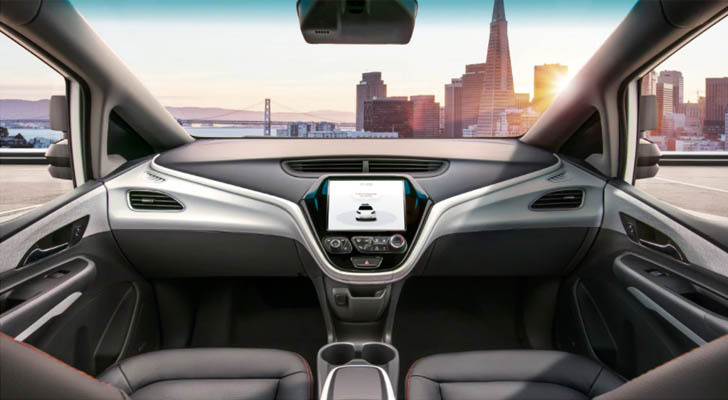 Japan’s SoftBank Group (OTCMKTS:SFTBF) pumped the money in to GM’s booming self-driving unit, Cruise. Shares spiked 13% on the news. Barclays analyst Brian Johnson even stated that the deal was “a reason to own the stock again”. The latest word on the Street is that GM is considering “strategic options” for this Cruise Automation unit. According to Bloomberg sources, these options include a public share offering for Cruise, or spinning the unit off, or listing a separate tracking stock to reflect the unit’s vale. However the company is only in the earliest stages of discussing these proposals internally and with the bank, the sources say. Our data shows that GM has 100% Street support right now. That means no hold or sell ratings in the last three months — just eight consecutive buy ratings. These analysts have an average price target on GM of $54, which is 30% upside from the current share price. Last but not least, we have our final dividend rockstar: Cisco (NASDAQ:CSCO). Cisco remains the dominant networking vendor with strong underlying fundamentals. The company pays a sweet dividend yield of 3.06% with seven years of dividend growth and a $25 billion share buyback plan. For the next quarterly payout, scheduled for the end of July, CSCO will pay out 33 cents. 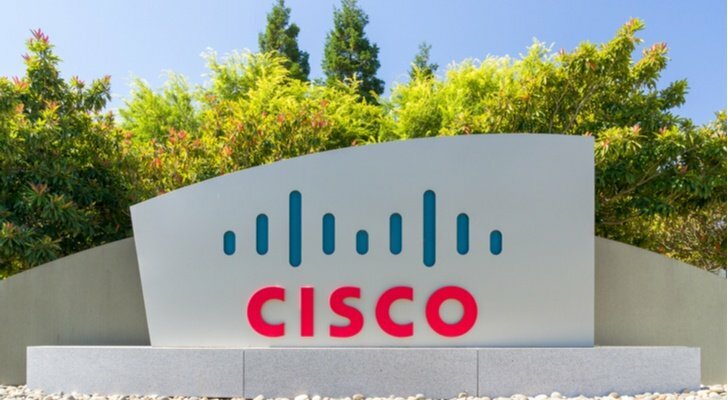 Five-star Oppenheimer analyst Ittai Kidron recently held a call with top Cisco executives. He is most “impressed” with how AppDynamics is shaping up. Cisco snapped up AppDynamics from the jaws of an IPO back in 2017 for $3.7 billion. “We remain bullish on AppDynamics’ growing value proposition with customers and its ability to help Cisco transition to a higher-value, software and recurring revenue business model” explains Kidron. He has a $50 price target on the stock (16% upside potential). AppDynamics enables businesses to pinpoint chokepoints before they get out of control. “Applications have become the lifeblood of a company’s success. Keeping those apps running and performing well has never been more important,” stated Cisco in the press release. Our data shows that this Strong Buy stock has received 11 recent buy ratings vs three hold ratings. Meanwhile, the $50 average analyst price target works out at 16% upside potential from the current share price. 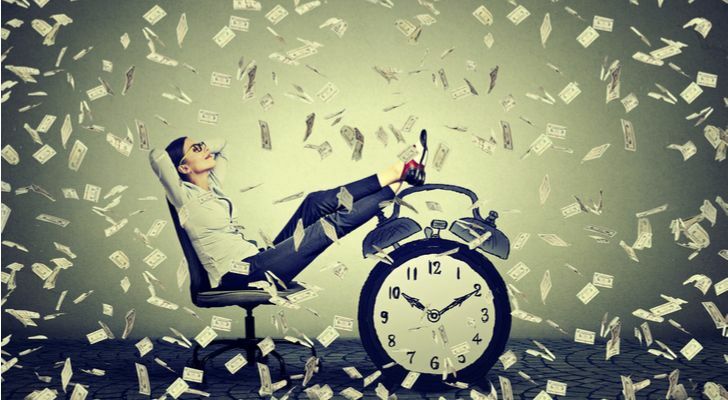 Article printed from InvestorPlace Media, https://investorplace.com/2018/06/5-all-star-dividend-stocks-for-any-portfolio/.